I bought this strapless dress to wear to the pool, grocery store or for lounging. It is super comfortable. I can just slip and on go. Plus it was only $11.00. Then, I was super bored one day and started going through my closet. I was looking for ways to remix my wardrobe since I am trying to not overindulge on clothes. Yeah, we all know how that goes. I can give myself a high five for doing MUCH better lately. Anyway, back to the simple story. It dawned on me that I could actually spice this dress up with a few ingredients. A pinch here, a teaspoon there and a cup of color sprinkled all around. Voila, a new outfit created with stuff I already owned in my closet! What a concept! Absolute genius...shopping in my own home? I may have to try this more often. Have you shopped your closet lately? I must admit, it was kind of fun. Any amazing outfits you created with items you already owned? I would love to what you concocted. Cheers to a FREE shopping spree. 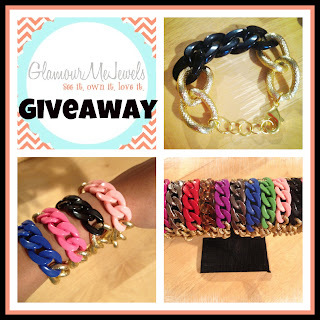 DON'T FORGET TO ENTER THE GLAMOUR ME JEWELS GIVEAWAY! I loveeeeee the belt! Too cute! Adorable outfit! I definitely need to shop my closet more often! I bet I could find some pretty good outfits :) This looks great on you! Great outfit! And $11 for that dress?!?! Amazing! Love how you have styled the dress, the belted cardigan is gorgeous! i love everything and the color mixing. I especially love the belted cardigan too. I love the dress! I seriously need to go to Forever 21 again. I love that this dress is pretty much a blank canvas...and you dressed it up so well! Dang girl...good job!! I LOVE it!! Yay for keeping the spending in check! ;) Love doing this.........and Pinterest helps me shop my closet! I think you are looking cuter every single time I read your blog. This one is adorable!! Yeah I like to shop my closet too. I shopped my little sister's closet the other day too. THAT was fun! those ingredients totally make it! i love it!! it looks like the perfect summer outfit! I love finding new ways to wear things! I love this!! You definitely spiced it up- and inspired me to go shop my closet :) I love the belt and the colors! so pretty! You are rockin that $11 dress girl! I love how you are always finding such good deals, a girl after my own heart! seriously I LOVE YOUR WARDROBE!!!! Love this. You make it look easy girl. I just shopped my closet the other day! I couldn't believe all the good gems I found! You look awesome- so stylish! wow, I love those colors together! I don't think i would have thought to put them all together, but now I want to try this combo! love this Shan! i like the splash of color! and check out your blog miss, what 100 followers a day now?? get it guuuurl! beautiful as always Shanna - LOVE that flower too!!!! Love all the colors! They all compliment each other so well! I love the color combo here. That pin is wonderful. I love this idea and since I am on a major budget now and told I could not shop for a while I must shop my own closet! Can't wait to see if I can put together something fun! amazing style, you're so gorgeous!! Nice work, girl! This combination looks fabulous together. Way to get creative with what you already have! I need to dig into my closet and do the same! You look absolutely adorable! I love the color of the cardi, the flower, and the belt together with this dress. Perfect. You go girl! I need to shop my closet more...you have inspired me! Free shopping sprees are the way to go!! Love what you did with what you had! This is great! You totally jazzed it up, and I love the colors you added! yay for you! and look what a cute outfit you made!! i love all the colors together! That's such a great idea! I have never "shopped" my closet - but I should really look through it after seeing this. I get bored with clothes after awhile and then the just sit there until I feel like wearing them again (sometimes years later). There are probably so many things I can do with these pieces! Cute! I love how you totally reworked the outfit! LOVE this look. Way to go shopping in your closet! I have to admit, I do it quite a bit :) Love your remixing. Looks great! I totally need to start shopping my closet! Do you find that you have a lot of clean up to do when you shop your closet? I can imagine that I would have clothes everywhere! niiice work girl!! I have totally been trying to do more "shopping in my closet". Prob one of the things I love most about blog world is seeing how women - like you - style things so I can draw inspiration! Thank you for your sweet comments on my blog! Loved checking out your blog as well! Nice to "meet" you! I love a dress that is so easy to wear and can be dressed up or down! And you got it for such a great price! Such a cute outfit!! I have been planning for weeks now to do a re-haul in my closet~hoping to find some "new" outfits! Love when you realize you can style some of your favorite pieces a bit dressier! Totally in to the shopping your closet thing lately and it's actually quite fun! Great job with your dress- I LOVE that! I dont shop my own closet nearly enough I really should tho. Love that you spiced this up with some color. You are fabulous at outfit remixing! Love how you spiced up this dress... perfect pinches of cute! I love this outfit. As usual you always look so darn cute! you are adorable shanna. you are totally right - this outfit is easily spice-upable. or something? Wow! Looking so pretty...I love your color & outfit combo!! Oh i love this outfit! Love the bright cardi & the flower! Such a pretty pop of color! That dress is the perfect length too, sorta maxi dress, but not so long that you will drag it all over the stores shopping!